The Hurst Ranch is a 3-acre slice of pioneer history that sits in the middle of West Covina. It was founded in 1906 by the Hurst Family when a purchase was made for 50 acres on the corner of Orange and Merced. 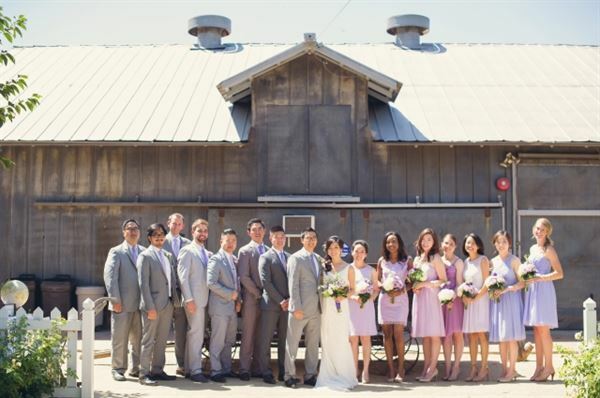 Hurst Ranch can be rented for weddings, receptions, bar mitzvahs, meetings, and special events. The Ranch provides a beautiful outdoor setting for parties and special events. Evoking the pioneer past of shady groves and country roads, the facility is an inviting place with a capacity to seat more than 400 guests. From the rural ambiance of the courtyard and gardens to the spacious catering kitchen, Hurst Ranch lures all those in search of a special place. Our exclusive caterer is Bashful Butler, based out of Azusa, California. Bashful Butler manages all catering services and site rentals for the Hurst Ranch. Bashful Butler specializes in creating and customizing beautiful events that support any theme you can think of. They will help with everything you need from lighting to beverage stations to atmosphere.